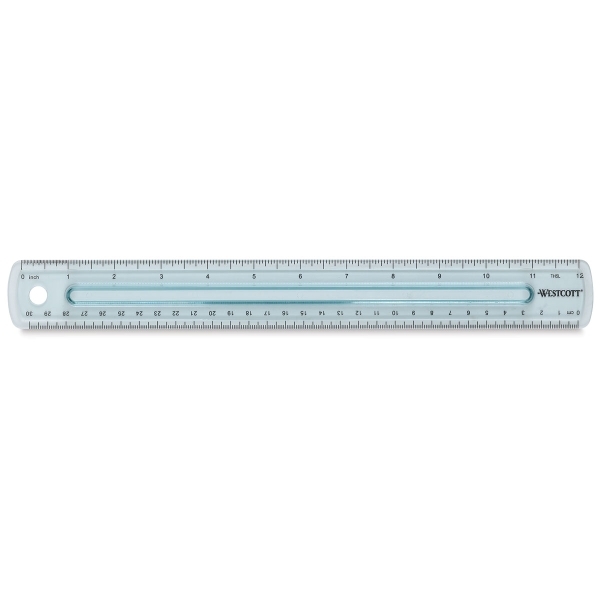 The durable plastic Westcott Finger Grip Ruler features a raised center grip for easy handling. 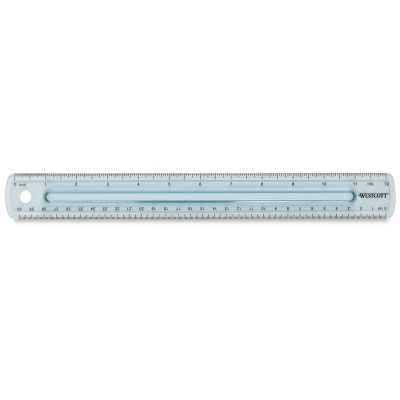 The 12" ruler is scaled in 16ths on one edge and in millimeters (metric scale) on the other. Numerals and graduations are sharply delineated for accurate measurements.